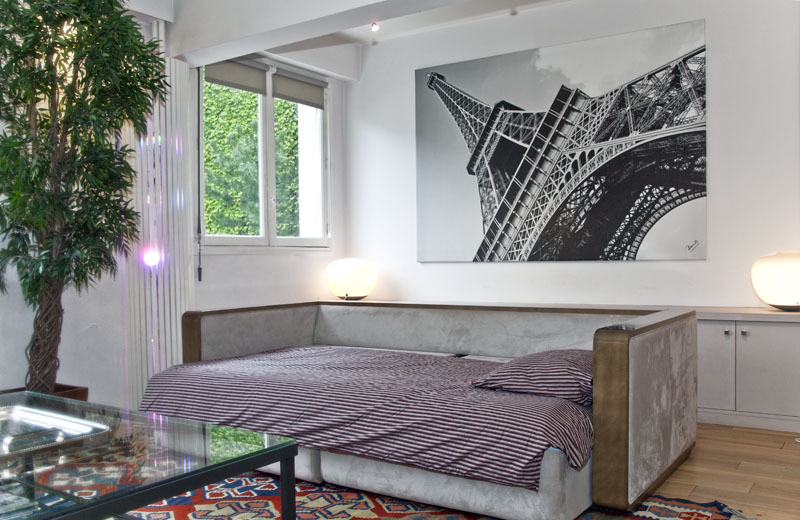 This very chic Parisian apartment is located in the 7th district of Paris between the Eiffel Tower and the Invalides, one bridge away from the spectacular Avenue des Champs Elysées. The building dates from the 1980’s and offers a « concierge » service. The apartment is on the the 2nd floor with elevator. 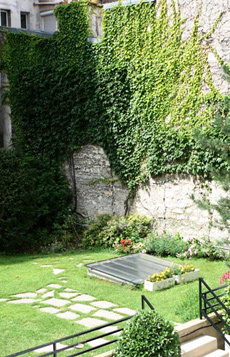 It is oriented south and overlooks a lovely green garden in a courtyard and is therefore very quiet. Living room with a couch that can also sleep 1 person. Bedroom with a full QUEEN SIZE BED. 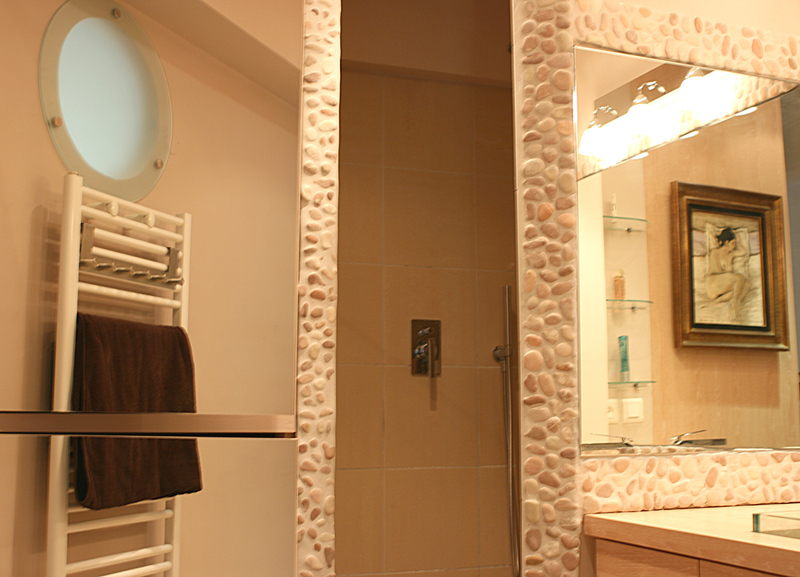 Modern bathroom with a confortable shower. 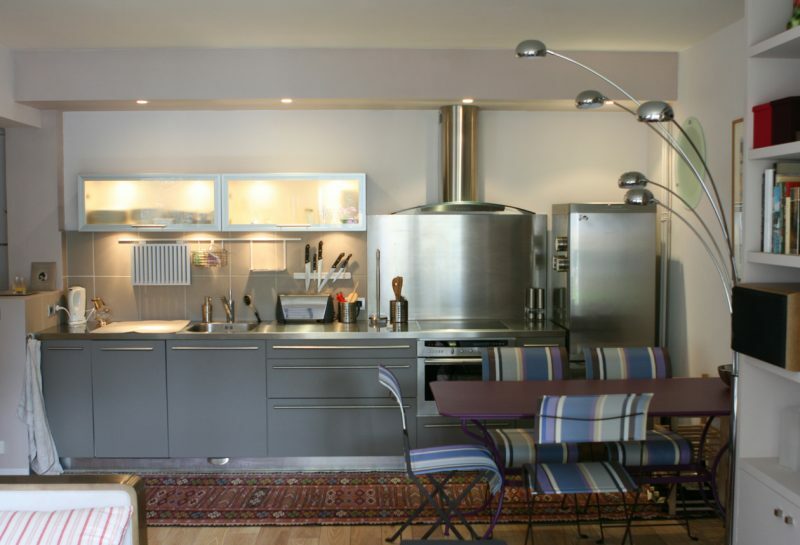 Open kitchen with all necessary appliances. 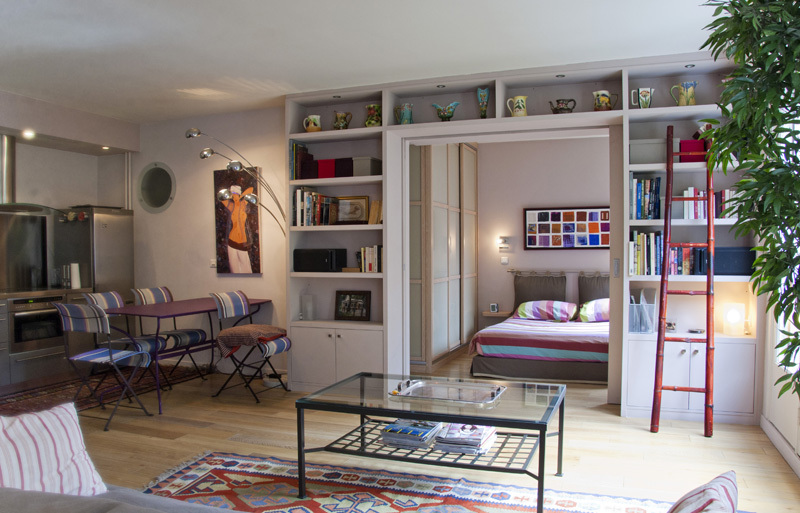 Alltogether 55 square meters of comfort, ideal for chilling out after a day exploring Paris ! Louis, I received damage deposit refund, thank you! And thanks again for the great service- we had a wonderful time and we will be back! 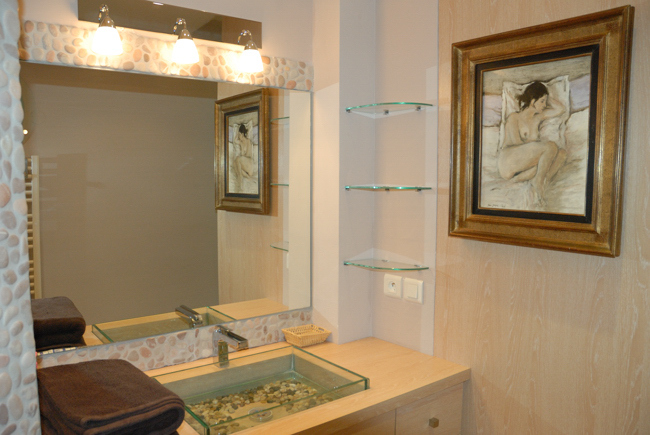 The apartment is comfortable and well-furnished for a long stay. The property manager met us when we arrived, walked us through how to use the appliances, etc. and even provided restaurant suggestions. Because it was February, the garden wasn’t very impressive, but it was nice to look out over that open space in such a densely populated city. It was nice to have birdsong wake us each morning. 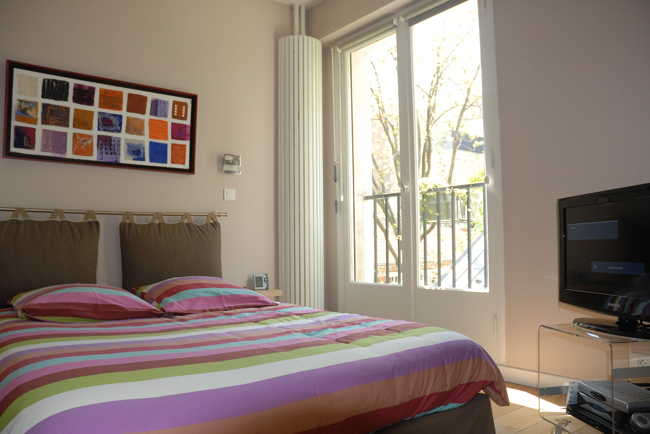 The location is excellent – close to Rue Cler street market, as well as Rue St Dominique for shopping. Bus, taxi and metro access is close and easy – we preferred the bus because it offered the ability to see some sights outside of our neighborhood. Be warned that there is an elementary school nearby, and the children are outside beginning about 8:30 am. So if you are a late sleeper, this might not be your best bet. We loved it! Our damage deposit was returned promptly. My wife and I have had the good fortune to find our way to Paris, yearly, for the last ten years. 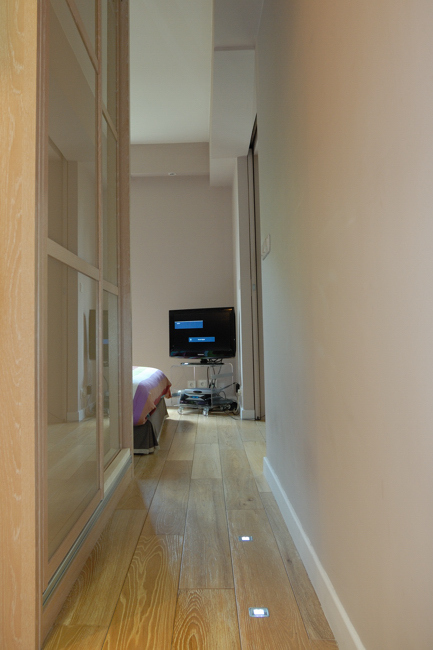 We love the 7th, and couldn’t be happier that we found the lovely apartment on rue Amelie offered by Louis. It is spacious (for what it is), full of light (by any measure), tasteful, comfortable, and has all the conveniences one could wish for. With such rentals an important component is always the logistics — getting there, getting in, satisfaction with any issues should they arise, and departure. Louis is a pure professional in that regard. It’s all fabulous, including arranging for car service or other things that might be convenient. 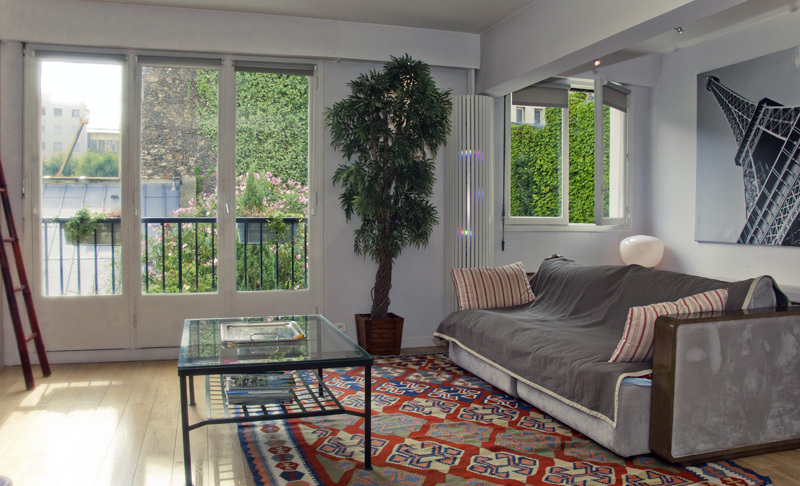 The apartment is perfect, as I said, and the neighborhood is exactly what we cherish in terms of Paris location, restaurant, shops, and pure ambiance. This apartment has been a wonderful ” Home ” for us this week. We fell in love with your city and a big part was the atmosphere of apartment. We loved the walk from the metro. We will return – and definitly recommend this lovely place. Thanks for everything. We had a great time. We will make sure we leave the apartment as expected. Everything was excellent. We really appreciate your help with everything. 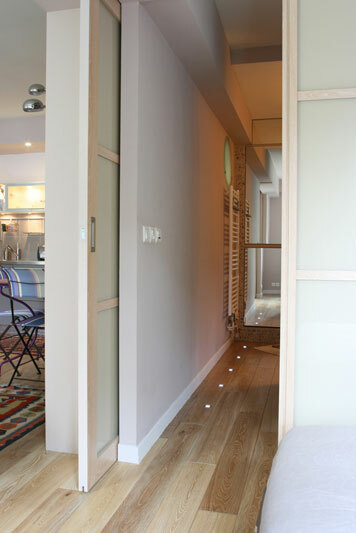 The apartment is bright and spacious, tastefully decorated and up-to-date. The bed is very comfortable and the windows open up to a lovely garden. The neighborhood offers excellent restaurants, shops and services. Rue Cler street market is minutes away and the Eiffel Tower is with-in walking distance as are many other Paris sights. Louis was a pleasure to deal with and he made the booking process simple and efficient. 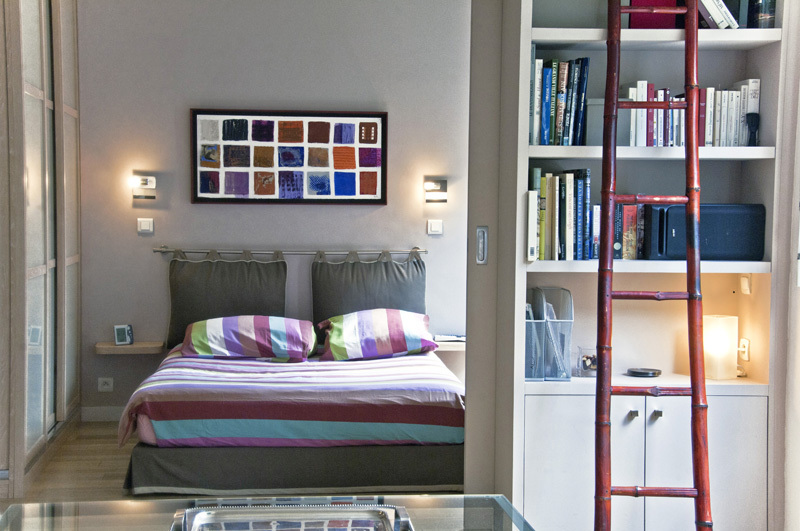 I would highly recommend this apartment when staying in Paris. Train RER direction Paris. Commute at Châtelet Les Halles. La Défense. Commute at Concorde. Balard and get off at La Tour Maubourg. Train RER direction Paris. Commute at Denfert Rochereau. Charles de Gaulle Etoile. Commute at La Motte Picquet Grenelle. Créteil Préfecture and get off at La Tour Maubourg. Join walking metro stop Gare de l’Est and follow the intructions « From the East train station ». Villejuif / Mairie d’Ivry. Commute at Opéra. Charles de Gaulle Etoile and commute at La Motte Picquet Grenelle. Balard. Get off at La Tour Maubourg. By rue Saint Dominique, rue Cler and its neighborhood you will be able to find all the facilities and shops you will need for your stay. However I will be sharing with you my favorites spots. Famous cook open at that place 3 restaurants This one has to be taste for food and price. 85 rue St Dominique. close on sunday. Rue Cler, close on monday. The best smoked salmon and tarama of Paris. 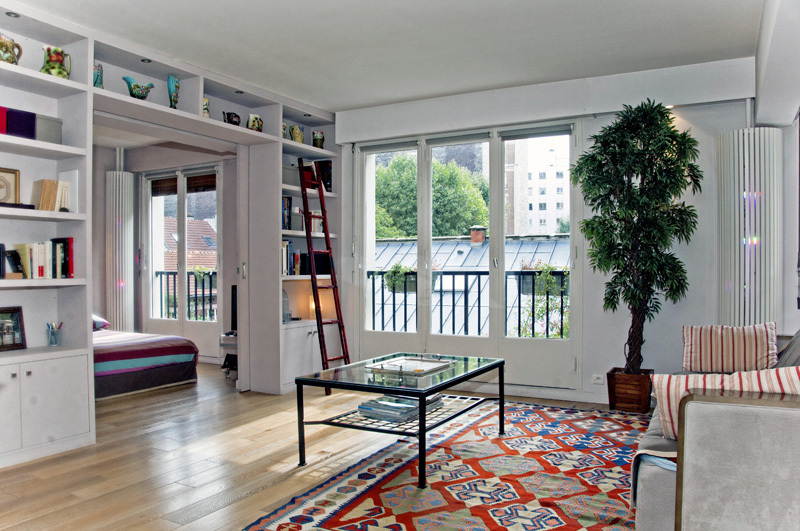 18 Bd de Latour-Maubourg, 75007 Paris. Ouvert du Lundi au Samedi de 09h30 à 20h00. Drink outside 38 rue Cler. O’Brien, 77 rue Saint Dominique, 75007 Paris. Le musée Rodin : Quiet and beautiful garden inside. Le musée d’Orsay : open at night every thursday until 21h45. Jogging : Champs de Mars, esplanade des Invalides. At night, walk up to the church of the Invalides and its esplanade, past the Alexander III bridge and continue through the Champs Elysées. Come by the Avenue Montaigne and the Place de l’Alma and enjoy Eiffel Tower. Initially Bateaux Parisiens at the foot of the Eiffel Tower. From Champs de Mars ( Departure point Av de Suffren and AV. Joseph Bouvard ).An exceptional course that takes you Esplanade des Invalides, boulevard Saint Germain, rue du Bac, then after crossing the Seine, will take you along the Louvre, la place du Châtelet, l’Hôtel de Ville, le quartier Saint Paul, le Marais et la place de la Bastille. On return the bus stops Rue de Grenelle through the Carrousel du Louvre.